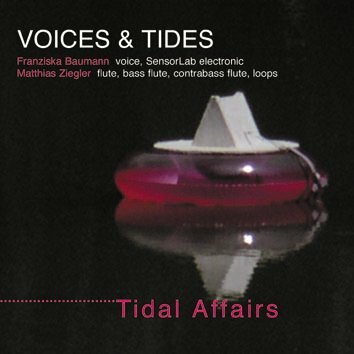 The second CD by the duo Voices " Tides (Franziska Baumann voice & SensoLab electronics, Matthias Ziegler flute, bass flute, contrabass flute, loops) explores new fields of improvised music in the context of live electronics. With her spectacular SensoLab device which is strapped to her right arm, Franziska and Matthias go far beyond the established genres and traditions of solo instruments. They achieve a sense of "solo polyphony", fragments of multilayered orchestration and colours. Their music is completely unpredictable and constantly surprising.